Since 1978, PASSWP has been actively involved in the professional education of Home & School Visitors and School Social Workers in Pennsylvania. Our Board works with the Department of Education, and other professional organizations, to stay on the cutting edge of trends in the field. We look to experts to provide training for the school social workers and home and school visitors who are delivering critical support services to students across the Commonwealth. 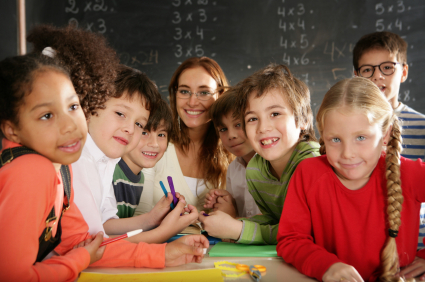 We are devoted to maintaining the highest possible standards for school social work personnel employed in our schools. To that end, we work with Schools of Social Work and programs that provide education for Home & School Visitors in colleges and universities located within our state. PASSWP strives to offer a variety of continuing education options and networking opportunities for our members and the broader social services community. Check out our FEATURED MEMBERS page! Interested in nominating someone? GO FOR IT! We all benefit from sharing positive stories and ideas! Hello and welcome back to a new 2018-2019 school year! All of the board members here at PASSWP hope that you had a nice and relaxing summer. I am happy to say that I made a western trip to Pittsburgh this summer for a college visit with my son, who is a junior in high school. Although I did not get to catch up with the folks who are doing a great job of keeping us all connected in the west, I was able to stop in on the 21st floor, the Cathedral of Learning, at the University of Pittsburgh which houses the School of Social Work offices. What views they have in that building! I hope to get out there again. It is great to see an increase and, although it is not so great that it has taken tragic events to evaluate what can be done, the consensus seems to be that there needs to be more of us! Did you see the article we posted on Facebook in August? One PA school district will be using grant money to add social workers to their staff! On October 25th 2018, our very own Chris Rich will be facilitating an Ethics training (3 CEU’s) at the Bucks County IU in Doylestown. Our State-wide conference for the fall 2019 will begin the planning phase soon. If you are interested in joining the conference planning committee, please email me or one of the board members. 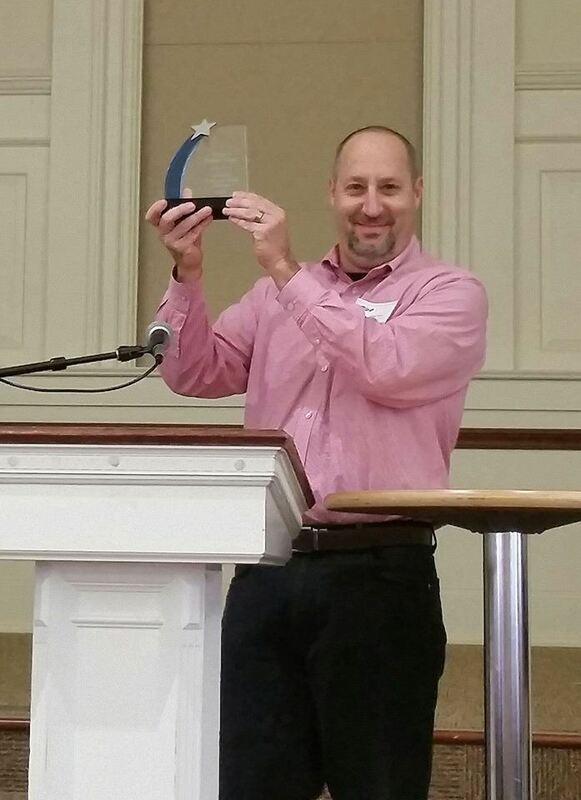 We have a request from Jamie Stokes who is working on a doctoral dissertation at Capella University. She will be recruiting School Social Workers to participate in her study on PA School Social Worker’s Experiences Working With Students Struggling With Their Gender Identity in a School Setting.” Please see her flyer and email her if you can help a fellow colleague out. Follow us on Facebook for information, resources, and articles that are important to the work we are doing across Pennsylvania! Are great things happening in your school/district/community?? Email us so we can share it with the PASSWP community! Let's build on our STRENGTHS!! to our School Social Work Colleagues! New reports from the Pennsylvania Department of Education identifies its largest number ever of children and youth experiencing homelessness – 38,823! Interested in participating in a research study investigating school social workers' experiences with students who are struggling with gender identity in a school setting? Click here to learn how to get involved. 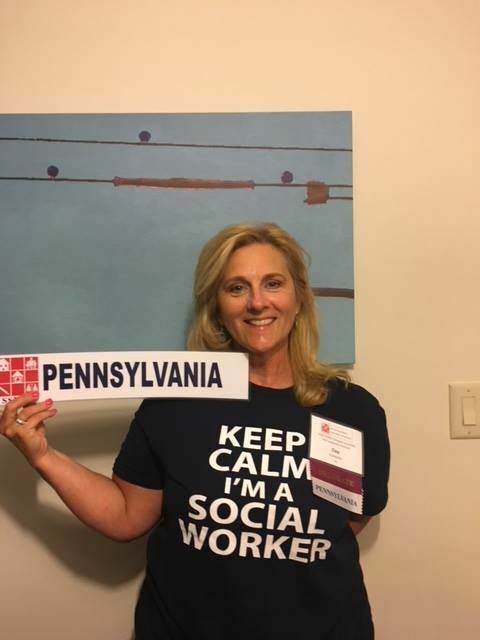 Congratulations to PASSWP’s own Dee Stalnecker on recently being named as the Northeast Representative Board Member for the School Social Work Association of America! She will be serving as a liaison for Connecticut, Delaware, Maine, Maryland, Massachusetts, New Hampshire, New Jersey, New York, Pennsylvania, Rhode Island, Vermont, District of Columbia and DOD schools. In this role, Dee will share national/organizational information to the state boards. She will provide support to the state organizations (or encourage them to form a state organization), and she will act as a resource for states regarding legislation, policy and professional development. SSWAA considers gun violence in schools A PUBLIC HEALTH ISSUE. Join the PASSWP Networking Forum below! A place for questions, comments, concerns, & requests for ideas!